We always have a fondness for memorable objects in our youth. Many times we hold on to senseless stuff because of sentimental value. Whenever we see that item, it brings back a flash of memories that reminds us of happier and simpler times. Nothing is more nostalgic than a piece of tech gadget from yesteryears. It will remind you of what it was like to use that item then and the joy it brought you once you hold it in your hand. For instance, there’s the walkman. You were a cool kid if you own one eon ago. You can get lost in your own world while listening to music from your cassette that was soon replaced by CDs. It was the in-thing of the 80s and 90s. If you had one back then, you’d surely feel nostalgic upon seeing one today and remember how you carried it with you as if it were just yesterday. It is no big surprise then that retro tech gadgets are growing in demand right now. The world is so full of clutter that some are longing for the simplicity of their youth and the awesome yet now outdated gadgets they used to own. The first mobile phones weighed roughly the same as a small child. Early black-and-white TVs had a tuning knob that you turned to change channel. Looking back on them now, it’s almost laughable how low-tech they were when compared to the flagship smartphones and 4K OLED TVs that appear on this site every week. But we owe these devices respect, not just for the technological achievement they represented back then, but for enabling the high-tech world we live in today. Without the PlayStation, you couldn’t have the PlayStation 4. Without the indestructible old Nokia 3310, you couldn’t have… the new Nokia 3310. To explore that legacy, we’re embarking on a journey into the world of retro gadgets. 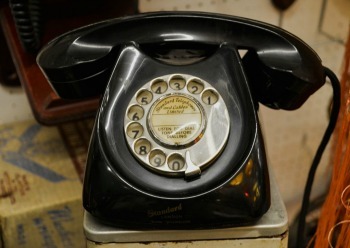 These obsolete tech gadgets actually paved the way to the mind-boggling technologies we have now. If we didn’t have them back then, we won’t have all these awesome smart gadgets and 3D, 4D technologies that we now enjoy using. These retro technologies may appear low-tech but they were the top of the line back in the days and everyone can’t wait to get their hands on them. They were mighty expensive too and mostly reserved to those who can afford to pay the hefty price tag. Brands are now getting savvy when it comes nostalgia and are coming up with creative ways of using this emotion as a tool to engage their loyal fan base, as well as attracting new audiences. Enter old school tech. Today, Nokia is relaunching one of the best selling mobiles of all time – the Nokia 3310. Seventeen years on from the initial release, the brand continues to drive headlines as they revamp this classic model. Looking back at retro gadgets that defined decades it a topic that AOL’s global consumer tech news site Engadget UK focuses on with its new original series Tech Hunters. It shows just how influential these gadgets have been on the technology and culture we consume today. Not only does it validate how I spent most of my early years, but it made me think how can we, as advertisers and publishers, capitalise on this resurgence. Capitalizing on people’s emotions can be a two-edged sword. It can work to your advantage and bring in big bucks but it can also be a major flop and people start comparing the new one with the original. Nonetheless, there is no denying that there is a growing market for these low-tech gadgets that once ruled our past. They symbolize a moment in time and remind us acutely of life back then. If you are suddenly longing for a retro gadget yourself, nothing compares to buying a good old Mac computer. This device is the forefather of the modern smart technology we now use in our day-to-day and people can’t help but feel nostalgic when they see one.